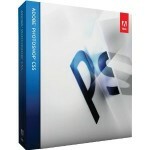 Adobe Photoshop CS5 Upgrade [Mac] for $190.99 (on Amazon) from Scott Bourne. AudioRefurb at http://www.js8media.com for $20 from Andy Ihnatko. Distant Suns for iPad for $8.99 from Merlin Mann. Distant Suns for iPhone for $6.99 from Merlin Mann. Panorama Database at http://www.provue.com for $299 from Adam Engst. GoodReader for iPad for free from Adam Engst. Movist at http://code.google.com/p/movist/ for free from Adam Engst. VLC at http://www.videolan.org for free from Merlin Mann. Apple Mac Mini for $594 (on Amazon) from Merlin Mann. NPR Dramatization: Star Wars: Episode 5: The Empire Strikes Back from Andy Ihnatko.